The 2019 NBA Playoffs tip on Saturday as 16 teams begin their chase for an NBA title. Oddsmakers, however, only see eight of them having any realistic shot. The Warriors are the heavy favorites at 1-2 in the latest 2019 NBA Playoffs odds for who wins it all, with seven other teams — the Milwaukee Bucks (6-1), Houston Rockets (8-1), Toronto Raptors (12-1), Philadelphia 76ers (18-1), Boston Celtics (18-1), Oklahoma City Thunder (30-1) and Denver Nuggets (35-1) — going off at 35-1 or shorter. There are several extreme long shots after that, with the San Antonio Spurs and Utah Jazz getting 60-1, and then six squads going off at 100-1 longer in the current NBA Playoff odds 2019. 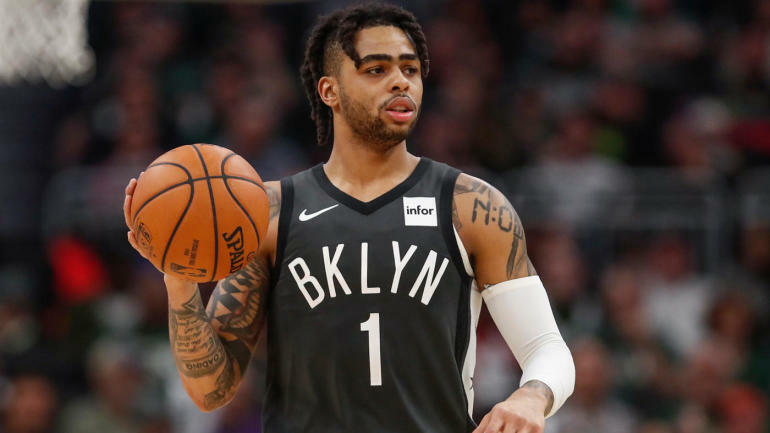 Before locking in any 2019 NBA Playoffs picks or NBA Finals predictions, you’ll want to see what SportsLine’s projection model has to say. Another shocker: The model is high on the Brooklyn Nets, saying the No. 6 seed has a 37 percent chance of advancing past the 3-seed Philadelphia 76ers in the first round of the NBA Playoffs 2019. The Sixers have the fifth-best 2019 NBA title odds at 18-1, while Brooklyn is a massive long shot at 500-1, making this even more of a surprise from the NBA projection model. But the simulations see a more competitive series than oddsmakers are anticipating. The Nets were one of the strongest rebounding teams in the NBA this season with 46.6 per game, good for seventh in the NBA. And they’re taking on a Sixers squad that could be without big man Joel Embiid (knee) for at least Game 1. Embiid also missed the final two regular season games and has no clear time line to return. Brooklyn also won three straight to end the regular season, while Philadelphia dropped four of its final six.